The State Library's site for teenagers and literature. Contains reviews , book trailers, the Inkys, book clubs and more.. Stories about teenage life: family and friends, school , love, grief and growing up. Stories with elements of fantasy ,science fiction or dystopian societies . "Page turners" with elements of mystery, suspense or crime. Stories that are set in the past or refer to past events. LIfe is not easy for the most serious kooka in the borough. One day Charlie finds a hole. A hole of his very own!. He picks it up an d pops it in his pocket. It doesn't take Charlie long to realize that a hole in your pocket is a problem. Madeline Finn does not like to read. Not books. Not magazines. Not even the menu on the ice cream van. Fortunately, Madeline meets Bonnie, a library dog. Reading aloud to Bonnie isn't so bad. When Madeline Finn gets stuck, Bonnie doesn't mind. Sometimes we just need to take a pause - stop, breathe, and take a moment for ourselves. To be mindful. On JIngle Jangle Mountain, as the snow fell on the rocks, a bear was being followed by a very sneaky fox. But Bear was in a hurry , he was running very late, winter had arrived and it was time to hibernate. The 'Love umbrella' is a analogy for invisible, protective, omnipresent love. When Mae's family moves to a new home, Mae wishes she could bring the garden with her. What's the best fun in the whole village? Riding the patchwork bike we made. The top five young adult Australian titles( Gold Inky) and top five International titles ( Silver Inky) as voted by Victorian students. List of Books Short listed for the CBCA Book of the Year. 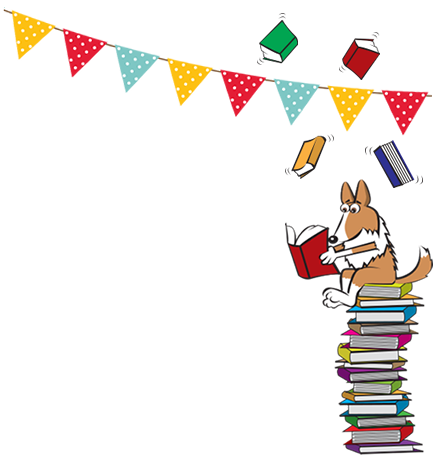 2019 Long list of the Australian books that ware being considered for the CBCA Book of the Year awards. Read it ! Loved it! 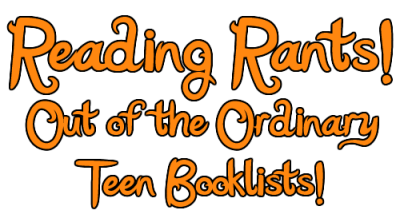 US librarian, Jen Hubert Swan's 'Out of the ordinary books for teenagers"
Kids' Book Review is a 100% voluntary children’s literature and book review site . "This year’s shortlist is exceptionally strong and brimming with adventure. It exempliﬁes the wonders of reading, introducing and transporting readers to unfamiliar places – from the high seas to the Stone Age, and deep into fantasy worlds ﬁlled with magic and mystery. Young readers will feel empowered by seeing characters that display fearlessness, curiosity and kindness in the face of danger and the unknown. Expect lots of humour and clever world-building – these are books that kids will adore." The Readings Children’s Book Prize was established in 2014 and recognises the best new Australian books written for children aged 5 to 12. A great fantasy novel for Grade 5 and up, perfect for fans of Harry Potter. A clever, funny and original book. The sequel ( "The Chosen Ones") is just as good! Eleven year old Malcolm is resourceful , kind and inquisitive. He is gradually drawn into the world of resistance to the repressive "Magisterium" which seeks to control the population. Battling a raging flood , avoiding evil pursuers and supernatural forces, Malcom must make an epic journey in his small boat to save the life of baby Lyra. Eleven year old Alex seeks answers to the big questions: Where do I come from? Who is out there in the cosmos? How can I be brave? Determined to find the answers, Alex sets out on a remarkable road trip that will turn his whole world upside down. Annabelle has lived in Wolf Hollow all her life: a quiet place, still scarred by two world wars. When cruel , manipulative Betty arrives in town, Annabelle's calm world is shattered, along with everything she has ever known about right and wrong. An enjoyable historical fantasy, set in 1662 during the Mughal Empire.14 year old Jahani believes her life is ordinary until she is almost assassinated in the bazaar. She must flee to escape danger and to find out her true identity. A very entertaining adventure. Who can resist Persian flying carpets, gypsies, tame snow leopards mixed with evil warlords? This is a moving story about the deep bond between a twelve year old boy and his fox, Pax. After Peter’s father insists on returning Pax to the wild, Peter is haunted by the vision of his bewildered fox sitting at the side of the road where they left him. Now 300 miles away, at his grandfather’s house, Peter decides to undertake a quest to find his fox. The story is told in a dual narrative ; one chapter from Peter’s point of view, then one from Pax. There are many themes in the book apart from the human/animal bonds: the cost of war, redemption, being true to yourself, father/son relationships. Suitable for 11 and up. During World War One, eleven year old Ada and her seven year old brother are evacuated with other children from London to the countryside. Ada is escaping more than bombs. Her mother is a cruel woman who is ashamed of Ada’s clubfoot and has locked her daughter in one room her whole life. Ada is a wonderful heroine, full of courage, compassion and tenacity. The gradual healing and awakening experienced by Ada is simply and authentically told. A moving story. This novel is set in Russia one hundred years ago. Feo and her mother, Maria, live in the snow filled forest where they teach domesticated wolves to reintegrate into wild wolf packs. The wolves are everything to Theo and Maria and they live a happy life until the Tsar's cruel Imperial Army Commander , Rakov, demands they kill the wolves. Feo and a young soldier find themselves in a desperate flight with the wolves and a pup. The action is very exciting, the characters are well drawn and the writing is lovely. Nobody believes in ghosts until they see one . . . The war has changed everything for Rob and Millie. Their father is missing in action and they are terrified they'll never see him again. Then one night, deep in the woods, Rob and Millie see an eerie figure in the window of an abandoned house. But there's no such thing as ghosts, is there? Thirteen year old Ben and his seven year old sister, Olive, are placed in a difficult and scary position when their parents suddenly bundle them into the car and flee their home without any explanation. Ben quickly works out something is drastically wrong so he uses his detective skills to uncover the truth. In this fast paced story, Ben has to grow up very quickly. In order to make the right decisions for Olive and himself, Ben must face his fears and many dangers. He has to tackle deep questions about life , questions concerning truth, loyalty and destiny. Set in a land where magic can be terrifying, Chasing the Valley combines the friendship and camaraderie of Ranger's Apprentice with the hardship and survival of The Hunger Games -- with spectacular results. Fans of "The Hunger Games" will enjoy the suspense and relentless pace of Barry Jonsberg's "Admission" series. Sixteen-year-old Sarah can't draw. This is a problem, because as long as she can remember, she has "done the art." She thinks she's having an existential crisis. And she might be right; she does keep running into past and future versions of herself as she wanders the urban ruins of Philadelphia. Or maybe she's finally waking up to the tornado that is her family. Everyone knows seventeen-year-old Grace Foley is a bit mad. She's a prankster and a risk-taker, and she's not afraid of anything-except losing. As part of the long-running feud between two local schools in Swanston, Grace accepts a challenge to walk the pipe. That night she experiences something she can't explain. The funny girl isn't laughing anymore. Summary: On a planet where violence and vengeance rule, in a galaxy where some are favoured by fate, everyone develops a currentgift, a unique power meant to shape the future. While most benefit from their currentgifts, Akos and Cyra do not – their gifts make them vulnerable to others’ control. Can they reclaim their gifts, their fates, and their lives, and reset the balance of power in this world? I'm a girl who believes in science and facts. Not fate. Not destiny. Or dreams that will never come true. I'm definitely not the kind of girl who meets a cute boy on a crowded New York City street and falls in love with him. One thing I love about this book is the way that even after writing so many books with the same characters, Flanagan has made each one unique. This book was just as exciting and interesting as the last 12 and I couldn't put it down. I also loved how all of the character 's personalities were still clearly the same and you always knew you could depend on them to outsmart or beat the evil characters. My favourite character is Ranger Maddie. She is so ingenious and is the embodiment of showing her girl power just like her mother ( Queen Cassandra) does. She is very similar to how Will was when he was an apprentice ranger during the first few books, wanting to be included and help prove herself in any way she can. This book made me wonder how many books Flanagan in going to write. He has been able to keep it going for so long, coming up with an original idea for every book and I am extremely excited to read "The Royal Ranger 3" later this year. The Rangers Apprentice: The Ruins Of Gorlan, is an extraordinary fantasy fiction written by John Flanagan. The Rangers Apprentice is about a small boy named Will. Ever since he was little, he wished to become a great Knight like his father, even though he never met him. Will is desperate to get into a craft occupation to assure himself a successful future. If he fails he will be sent to a farm and be stuck farming crops and animals for the Castle Redmont, where Will was raised as an orphan. When the time of choosing day arrives, Will is devastated when he is rejected from Battleschool. Instead, Will was appointed to be the apprentice of Halt, a mysterious Ranger that has special magic powers that can make him be ‘unseen’. Halt’s powers are thought to be the result of black magic. Reluctantly, Will learns to use these secret weapons, but when Will and Halt set off on a desperate mission to save their King, Will starts to appreciate the powers of the Ranger’s abilities. The series has won numerous awards, for example it was honoured in the 2009 Koala Awards. I would recommend this book to ALL kids aged 11-15. Layla Queen of Hearts is a book that deals with themes such as family relationships, friendships, grief and loneliness. There is a special focus on the young and old. The book centres around 8-year-old Layla, ‘Queen of Hearts’, a nickname given to her by her Grandma who died a year before the story begins. A point of conflict arises when Layla’s school announces a Senior Citizen’s Day. Although she is reminded of her grandmother’s death, Layla’s determination sees her rely on those close to her so that she can successfully get through the day of celebration. Layla loved going to her best friend Griffin Silk’s house. Layla’s parents thought she may as well have been born into Griffin’s family because she fit in so well. Layla spent most of her time with Griffin and his Grandma Nell. When Layla found out about Senior Citizens Day at school, Griffin said he’d be happy to share his Grandmother Nell with her but Layla really wanted someone special of her own. Nell introduces Layla to Miss Amelie, an elderly lady who lives by herself. Miss Amelie finds it very easy to remember things from the past but struggles to remember things from the present. Over time, Layla and Griffin manage to make sure that Miss Amelie remembers both of them. After a while Miss Amelie tells Layla about her sad past and soon Layla becomes a great comfort to Miss Amelie. Layla encourages Miss Amelie to come to Senior Citizens Day whether she remembers it or not. Not too long after Senior Citizens Day, Layla faces another sad moment in her life. Miss Amelie dies. Layla deals with her grief by celebrating Miss Amelie’s life instead of mourning and remembers all the good times they had. Even when things seem impossible, Layla lives her life with a ‘never-give-up’ attitude & is kind and caring to everyone - she truly is a real-life Queen of Hearts - and although this book is sad at times, Layla’s bright attitude and the friendships she develops, help fill it with joy. This is a feel good book as it shows the strong bond between five friends and the wonderful nature of friendship. Throughout the book, together these teenagers come across a series of strange and terrifying events, making it a very dark and thrilling read. The Sacrifice Box is very different and I have never read anything like it which is why I enjoyed it. My favourite character is Hadley because she is a very beautiful and caring soul and always looked at life differently to others. This book covers many different periods of time and really makes me wonder about what it would be like to live in those past decades. One thing I love about this book is how you follow Warner through his eyes as he goes through life as a 'little" trying to make his way up in the world. You begin to understand who he is and why he thinks the things he does. By the end you almost know him like a friend . This book made me realize that the story isn't really that far from the truth. Those with less money are typically treated as though they are "less". This is also the case in "MunMun" as the poorer you are, the smaller and less important you are. How it shows that friendships are more important than family and how sometimes you need to ask for help or open up to someone about what you're going through for the problem to be resolved. Also, the descriptive language is very good. My favourite character is Freya. She has an interesting back story, she is hopeful, caring, brave , kind and also kind of sad. It's this sadness that allows her to open up about her struggle with music which eventually leads her to handle the loss of her father and sister in a more effective manner. This book made me wonder about all of the other people who are struggling in the world and still keeping a strong face. You wouldn't even know that they are falling apart. It has showed me that all we need to do is ask, "Arey you okay?" One thing I loved about this book is how it describes unexpected things and yet they are everyday occurrences. My favourite character is Charlie Bloom . She has a normal life but still does fun things. ( Charlie photographs bands at music concerts). This book made me wonder about how things on the other side of the world can relate to you in the most crazy ways. One thing I love about this book is that it is the best, most spectacular, unique , action packed thrill ride, all packed into a massive creative, descriptive bunch of files and witness statements. The format was totally different. The fast paced plot contains romance, war, zombies, heartbreak and political dramas , all mixed together with cliff hangers to drive you mad. My favourite character is Kady because she is an awesome, feisty tech head who does not fit into the "oh so typical "mould of YA books. From her pink hair to her sarcastic sass, she is a memorable , fun character who would make a great best friend. This book made me wonder about the future of technology and artificial intelligence. I love this whole series because it is about a different world completely, hidden in the easiest place. I also love that there is a big mystery in every book. My favourite character is Hermione because in the first few books she is so much like me; a smart book worm who is always reading, doing homework or telling people facts. This book made me wonder about what kinds of magic there are in the world. It might not be all wand waving and spells but magic is everywhere. You just have to look. One thing I loved about this book was the action. My favourite character is Tris because she has so many emotions and is such a complicated character. She is caring and strong. Tris is unique. This book made me wonder about people. and all the different characteristics that make us whole. The humour in this book is great. It is written in a fast paced style but also describes settings in good detail.. My favourite characters are Travis and Connor. They're identical brothers and they are so funny, lovable and mischievous. They wanted to rob a candy store in the middle of a war! This book made me wonder about a saying I like. " The winner gets to tell the story". The Gods in the story are supposed to be the good guys but they are also portrayed as selfish jerks with not empathy. It made me wonder if the gods are as bad as the titans but were seen as good because they won the battle and told the story. WierDo 6 is an exciting, adventurous book and I related to some parts of the book. I also loved their school field trip! Weirdo is a funny character with a good sense of humour, even though he is a little shy. But that is okay! This book made me wonder why people make fun of WeirDo because everyone is who they are! One thing I love about this book is being transported to another world. The description and visual imagery really takes me there. My favourite character is Roland. He is central , flawed , well described and likable. This book made me wonder about other universes and who /what is happening there. One thing I loved about this book is that it is a thriller and a romance novel all in one. It has love, fear , compassion and courage all woven into one story. It is one of those books that sneaks up on you while you are reading it, and makes you think about life, space and the universe. My favourite character is Alison because the way she describes her everyday life, through the outlook of someone with synesthesia, is very interesting. Alison in 16, so she is easy to relate to, and when she goes through heartbreak and betrayal you feel like it is you who are going through it. This book made me wonder about how other people perceive the world. One thing I love about this book is how the story begins ( on a rooftop) and how you slowly get to know the characters. My favourite character is Finch because he really brings the story together and I love how he knows exactly what he wants. This book made me wonder about why things turn out the way they do and if there is anything we can do that might change what happens. One thing I love about this book is that it is a great fantasy novel about magic, and mythical creatures. It has a great action/adventure and fantasy feel. A great read. My favourite character is Eragon because his is just a normal boy who is thrust into a life of magic and adventure. This book made me wonder if magic is real and about all the things we don't know. One thing I love about this book is that it is set in the future and is a different reality. My favourite character is Aspen because he is nice and doesn't give up. This book made me wonder whether in the future there will still be monarchies and whether stuff happens out of coincidence. One thing I love about this book is that it has lots of action and adventure. My favourite character is Kenny because he is a boy of few words but is full of mystery. This book made me wonder what was going to happen next. One thing I love about this book is the fact that it involves time travel and alternate places. My favourite character is Albus because he is completely different to Harry. This book made me wonder if Harry's son is evil. One think I love about this books is…How unique the setting and layout of the book was. This is because.. I loved the humorous chats he had with James and Kady. How they incorporate so many different genres into the one book. Although I don’t like mystery, there is a sense of it in the story which is extremely thrilling. My favourite character is……………..Frankie Landau Banks. This is because.. this character is so smart and such a great mastermind. The way she handles herself is so intriguing and interesting. This book made me wonder about…….. How it would feel to be undervalued. One thing I love about this book is…It is full of mysteries and trouble and it includes different fairy tales mixed in it. This is because.. she is different from everyone else because she is a cyborg and she is the lost lunar princess. She is not afraid of anything. This series made me wonder about……..what the future will be like because that is where the series is set. I also wonder if there is life on other planets that we don’t know about.